THE JOSHUA PROJECT TEAMS Up with the Regional Food Bank of Northeastern New York and Schoharie Valley Mormons to organize and deliver more than 200 Thanksgiving meals to area families last year. We were introduced to Father Joe early on and were inspired by his talks with us and his work. It was very easy for us to form around this inspiring man. The Joshua Project is a coalition of several churches throughout Schoharie County and is 100-percent volunteers. The program is run with private donations. There are several churches that are active with the Joshua Project, and we have more than 80 volunteers who work throughout the year to make the programs work. There are several programs that we are proud to offer to the people of Schoharie Valley. We also have many ministries to serve the poor: summer lunch programs, food pantries, home visitation, food delivery. We help the homeless and poor with housing, heat and food, and help those who can’t afford to pay traffic tickets and lose their cars and license to pay their fines so they can continue to work and keep their independence. There are huge injustices in the way the poor are treated and handled in our society, and this is extremely taxing work. Our “tiny homes” (small homes for the elderly poor, which would be built in Middleburgh) are on hold due to flood regulations in Schoharie County that would require us to raise the land by seven feet, which would greatly impact the neighboring homes. 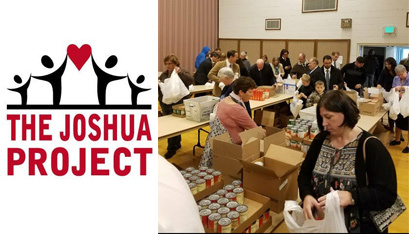 The Joshua Project volunteers are coordinating with local churches and Middleburgh Central School to provide lunches to families and elderly during the summer. The lunches are free and open to the public. In 2017, this program served just over 3,300 lunches. With the help of Richmondville United Methodist Church and the Church of Jesus Christ of Latter Day Saints in Central Bridge, the Joshua Project expanded this year to those two towns. Throughout the summer, the Joshua Project volunteers deliver food to needy children in outlying areas of Schoharie County and a portion of southern Albany County. This program is funded by the United Way. In 2018, the program has delivered 161 backpacks of food to 78 families each week, feeding 221 children throughout the summer months. Volunteers from the Joshua Project visit families in need in their home to determine each family’s needs and assist them in receiving help. Some financial, material, physical, and mental assistance is available through the program, but the Joshua Project’s resources are limited to whatever funds we have available at the time. In 2017, we helped more than 60 families with various needs. We coordinate with Salvation Army on many of these. Joshua volunteers visit people who could just use a friend to converse with. We currently visit about 18 people. The Joshua Project also works with the Schoharie County Office for the Aging to deliver daily meals to 18 people in need within the Village of Middleburgh, 52 weeks a year. The Joshua Project accepts donations of furniture or clothing. The furniture is redistributed to families in need — more than 300 pieces of furniture so far. Clothing and household items that are donated are given to the Everything Shoppes in exchange for gift certificates that can be distributed to families. Baskets of traditional Thanksgiving foods are delivered to families; in 2017, working with Catholic Charities, we delivered 241 baskets to families in need. For Christmas, we work with several other agencies to give presents to more than 600 children in Schoharie County. Fabulous project. Keep up the good work! We are proud to support it financially every month This comment has been hidden due to low approval.